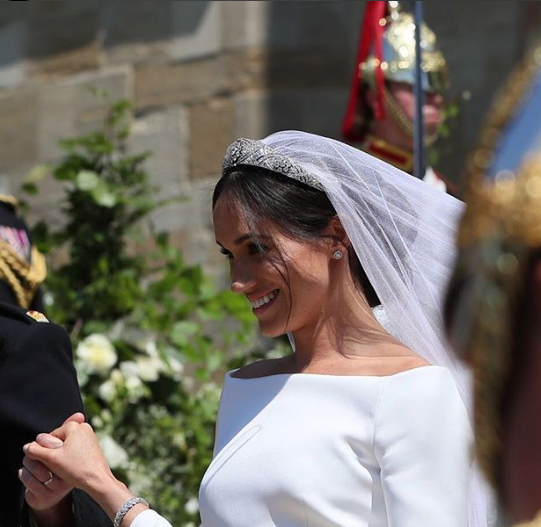 Meghan Markle chose a tiara that belonged to the Queen's grandmother for her big day. 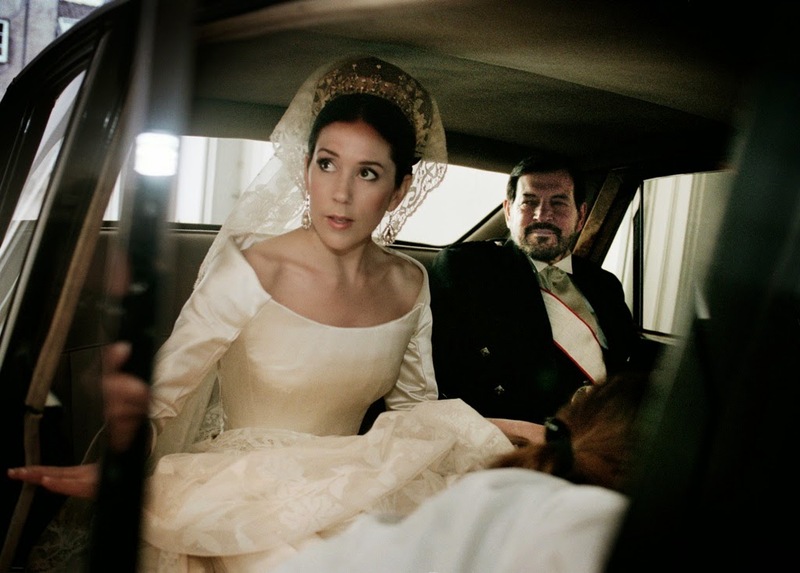 The Royal Family, in the official write up of the wedding on its webside, called it the Queen Mary Diamond Bandeau Tiara. It belongs to the Queen, who lent it to Meghan for the wedding, and it's been so far under the radar for the past few decades that just about nobody had this one on the tiara tips lists that were doing the rounds ahead of May 19th 2018. The diadem was made in 1932 on the orders of Queen Mary who, let's face it, found it hard to go longer than six months without either buying or creating a new diadem for her vast collection. And this piece began its jewellery journey with a wedding for at its heart is a brooch given to Mary on her own marriage in 1893. The tiara was, in fact, created to show off the brooch which came to the young bride as a gift from the county of Lincoln. That brooch features ten brilliant diamonds in a circular shape and it sits at the centre of the tiara which is made up of eleven detachable sections made of platinum and yet more diamonds. The stones in the main part of the tiara are worked into filigree shapes and form a gentle sloping arch from the centre on either side. 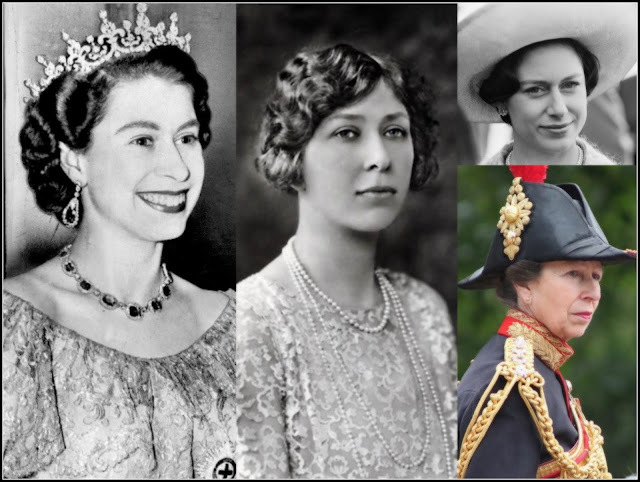 Mary wore the tiara occasionally - when you have that many, it can be hard to make sure they all get a look in- and it is believed to have passed to the Queen in 1953 on her grandmother's death. Since then, it's not been seen in public and it had largely been forgotten hence the focus on other tiaras as possible bridal picks for Meghan. But this one worked to perfection with her bridal look, providing a sparkling anchor for the sixteen foot veil, that followed her down the aisle. And it could well become her go to tiara as she begins life as a royal duchess. In which case, expect to get very familiar with this diamond diadem in the years to come. The royal wedding tiara of the Duchess of Sussex is a style statement all of its own.